With the changing of the weather, comes the changing of fashion. Open-toe flat sandals were very popular in the summer but with the coming of fall, the trend has shifted to boots. Ankle-boots, dressy booties, cuffed boots, cold weather boots- they come in different styles. I have two pairs of ankle boots (one low and one medium heeled) which goes well either with a pair of slacks or the less formal blue jeans, and both of which can be worn in any season. I have been seeing a lot of booties lately and they look nice in some ladies but they're not really my cup of tea. However, I have always been attracted to knee-high and mid-calf boots. They look great when worn with dress and tights. Those less formal suede boots look great, too. 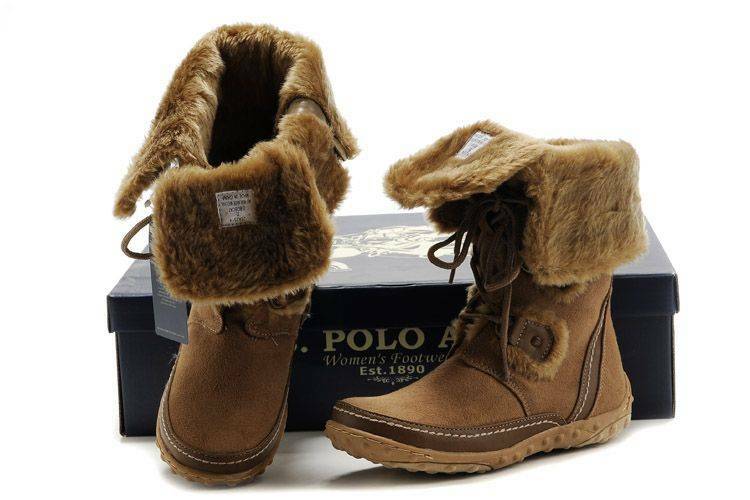 The other day, I saw a pair of brown polo boots, perfect for casual wear on a cold day. I am still debating with myself if I should buy a pair or not. I just wear better shoes.